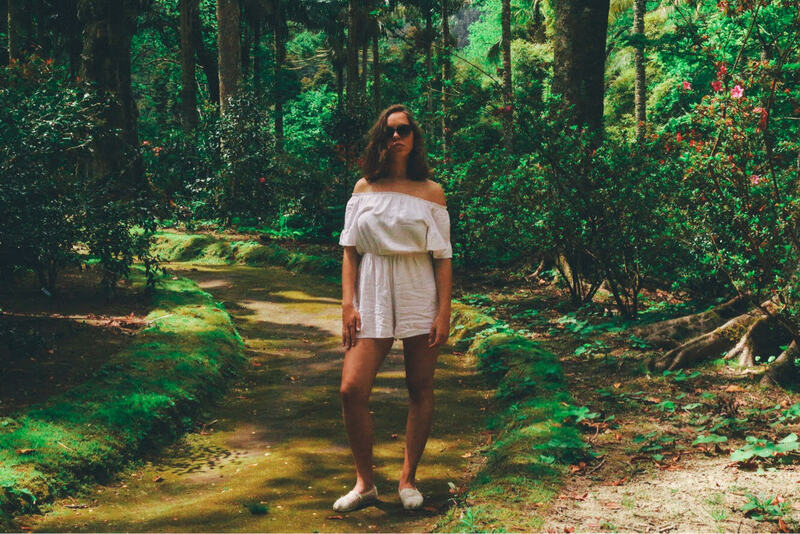 I've gone to the Azores for the 3rd time this month and I asked you on Instagram if you would rather watch a regular Travel Guide or a 10 Things to do in São Miguel, and the choice was obvious! Here you have my master list to take with you when visiting The Azores. This post will include pictures from all my trips, once I've visited different places on every single one of them! Swim at the Ponta Delgada Natural Pool - This is one of my favorite places in Ponta Delgada, it was a hidden gem that I found out on the last day of my second trip and that automatically made it to the 'must visit' list. The Ponta Delgada Natural Pool is free of charge (if you want to use the showers or the bathroom it costs 1€) and it lets you swim in the ocean under the supervision of a lifeguard. It's also a good place to relax and get a sunbath before. Drink tea and explore the plantation at the Gorreana Tea Factory - This is maybe one of my favorite things I've ever done. I love tea and I drink at least 3 cups per day, having the opportunity to go to an old school tea factory was one of the best experiences of my life. The Gorreana Tea Factory hasn't been industrialized so all the production is still done in an old-school kind of way, making it not only a tea factory but also a museum. You can visit the factory and the plantations and drink all the tea you want and it's absolutely free (I was shocked too)! I got a bunch of tea there when I went to visit and I still have some. You can buy the tea in the factory but also in many other selling points in the island. Visit all of the lagoons (Lagoa o Fogo, Lagoa das Sete Cidades e Lagoa das Furnas) and be amazed by nature itself - One of the strong points of the Island is for sure the natural beauty that it brings. I love the feeling I have when I'm in a car and I look to my left and all I see is the blue of the ocean and then I look to my right and all I see is the green from the fields, trees, and plants. Being a volcanic island São Miguel has a lot of lagoons to visit. Lagoa do Fogo is for sure my favorite one, a bit less touristy than the other two. In my opinion is the perfect location for insta worthy pictures (if you don't believe me check the locations on my recent Instagram pictures). Lagoa das Sete Cidades is maybe the most touristic one. It's the image many associates immediately when they think of The Azores. I love how the water mixes in the lagoon itself. Lagoa das Furnas it has a cost of 2€ to visit, but you can see the beautiful lagoon and the park created around it. One of my favorite things to see there was the crazy amount of baby ducks that they have there, it was the absolutely cuttest thing I've ever seen. If you want you can see the famous 'cozido das Furnas' being cooked which is basically cooked underground with the heat that is provided by the Earth itself. Go for a hot water bath at Caldeira Velha and Poça da Dona Beija - Remember when I said that the island was volcanic? Nature has created many natural pools with running water at a temperature that goes from 25ºC to 40ºC. Its one of the most relaxing things you can do. Let your body be immersed in the hot water and enjoy the therapeutical feeling. The experience is like going to a natural hot tub surrounded by trees and vegetation, absolutely wonderful. Both of these places have a cost of around 5€. Spend a day viewing the flowers and swimming in 40º water at the Terra Nostra Natural Park - Everyone told me I had to visit the Terra Nostra Natural Park and now I'm here to tell you that you need to visit it too! Its the perfect place to spend a day and visit beautifully treated gardens and swim in really warm pools. The park has a recommended 5Km hike in which you will be visiting all of the different areas and plants and then you can go relax by the pool. I think it's a beautiful natural masterpiece and that the cost of 8€ is absolutely worth it. Eat a steak at Associação Agrícula - The Azores is known for its cows (they say that there is one cow per habitant of the island) and you can see the animals all around the island. I feel like the animal is really respected there and the beef there tastes like something out of this world. I recommend that you to go have the best steak of your life at the Associação Agrícula Restaurant. My favorite is the Steak with Passion Fruit Sauce. I really recommend it. Eat fish at Adega Regional - Being in the middle of the ocean is no surprise that the fish is amazing. 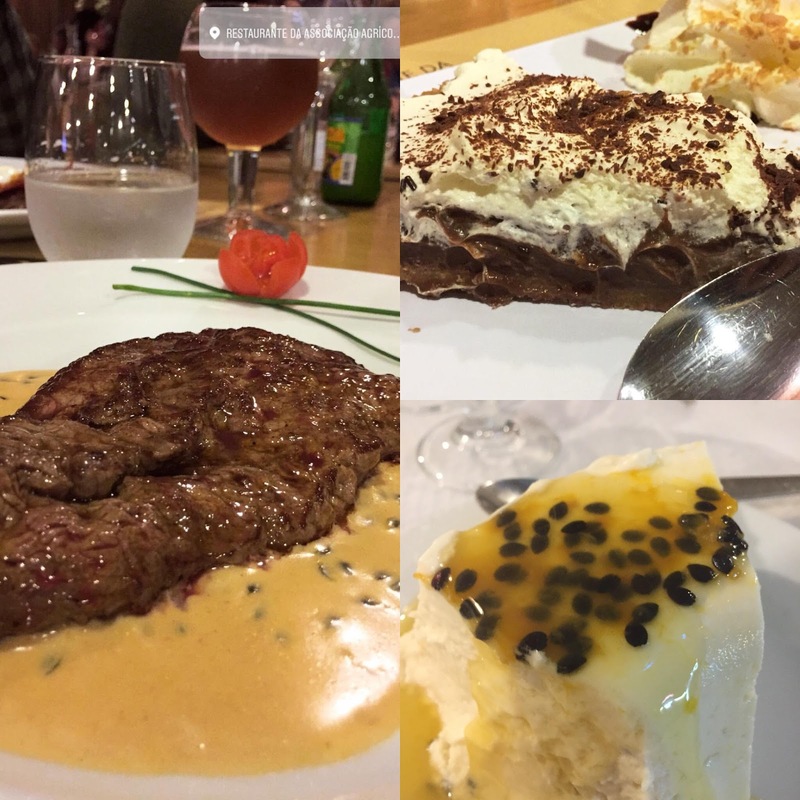 Adega Regional, in the center of Ponta Delgada, became one of my favorite places to eat while on the multiple trips I've made to the Azores, becoming a mandatory stop. Being from the Algarve I'm used to really nice fresh fish and the fish I had at this restaurant didn't disappoint. Also, they probably do the best passion fruit semifreddo that I've ever tried! Stroll around the beautiful streets of Ponta Delgada - Walking around the city of Ponta Delgada is totally worth it. You can see the beautiful and colorful building and at the same time a lot of blacks and white ones that seem designed to fit perfectly there. You can visit the marina and play a game of bowling at the Atlantic City Arcade. The city is full of things to do and to see and I think it's well worth the visit even if your hotel is not located there. Go Scuba diving and discover a whole new world under the sea - Scuba diving was on my Bucket List for the longest time and I still can't believe I finally did it! I had decided that I wanted to have this experience on The Azores because it's located in the middle of the Atlantic Ocean and I couldn't recommend it more to anyone! I paid 90€ for the dive at Best Spot Center. You will see that the ocean truly holds another universe down there and you will feel an immense respect for nature and for biodiversity. Visit Ilhéu de Vila Franca for a different concept of a beach - If you want to experience a different concept of a beach take the boat ride to Ilhéu de Vila Franca and visit a regular beach that was created on a rock. The water is cool and there are many fishes that will come near you once you truly are swimming in the middle of the ocean. And this is it, guys! I truly love the Azores. It's like Portuguese Hawaii in my opinion full of landscapes to see and fun activities to do all the time and I couldn't recommend it more! If this trip isn't on your bucket list be sure to add it because it's totally worth it! The whole island is insane! I truly love this place, one of the best places I've ever visited!